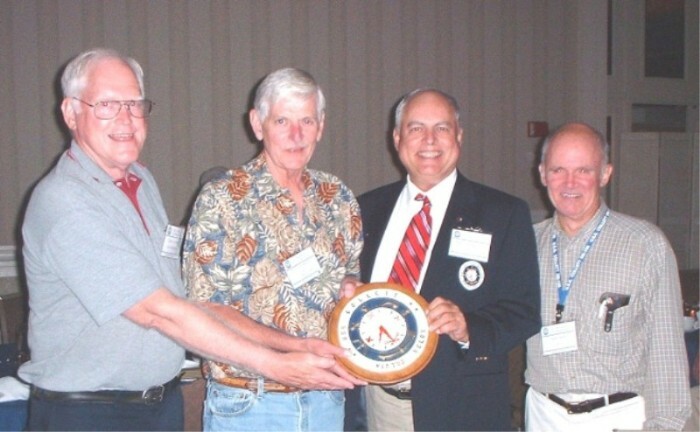 Chuck Spencer, Braxton Dennis, Pat Manion and Frank Olderr with COLLETT plaque. 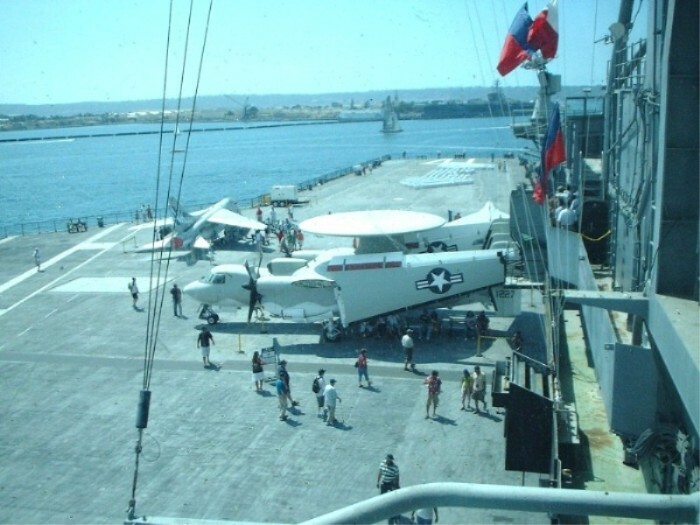 USS MIDWAY flight deck looking aft. 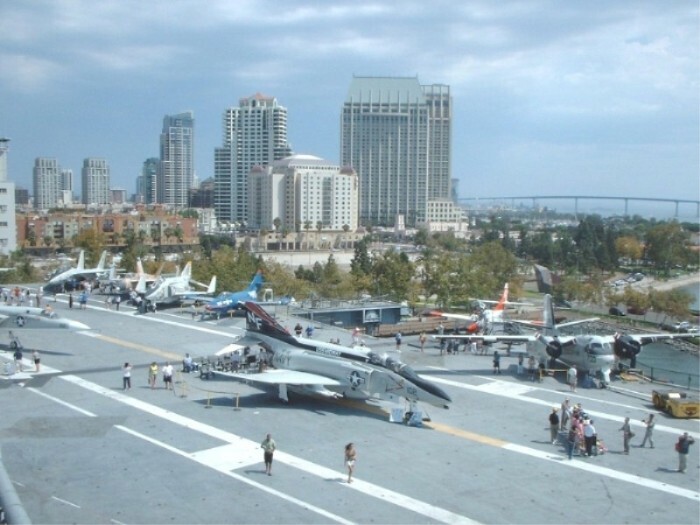 USS MIDWAY flight deck looking forward.